Glass house terrarium with black metal frame is an easy piece to get creative with. 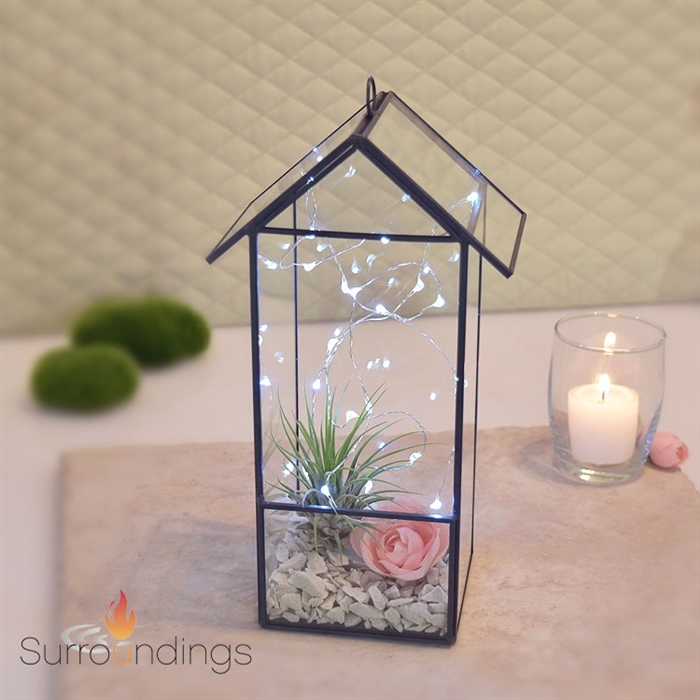 Have fun adding decor elements to this Glass terrarium. You'll love all your designs. House terrarium is 9" x 5" x 3.5". 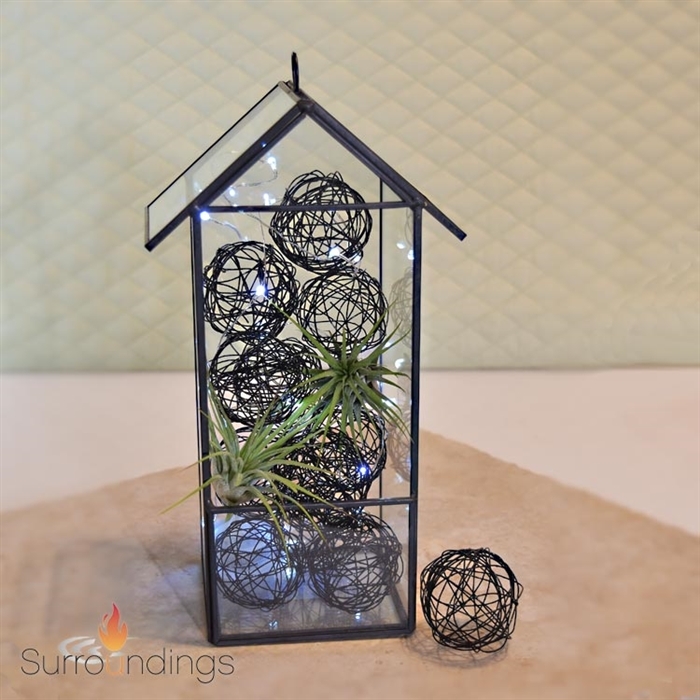 All items shown with terrarium are sold separately. Saundra Gold Metal Bowl Ring connectors /24 Birds / 3 Round Hat Box, 6"